Join me this Thursday, October 6 for a “Behind the Scenes” with Aurora HDR 2017 FREE live Webinar, brought to you by Macphun! Watch as I show you some of my favorite new features of Aurora HDR 2017, which was just released last week. This webinar will also include a questions and answers period! The one-hour live webinar is scheduled for 12:00 PM PDT and you must register in advance to reserve a spot, as space is limited. P.S. 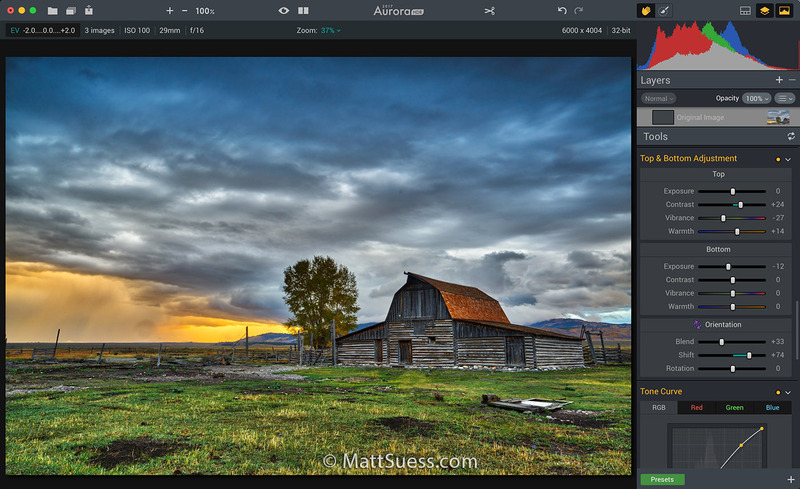 Be sure to check out my review on Aurora HDR 2017 here and take a look at my Mastering Aurora HDR 2017 Online Course. Join me as I show you how to process and enhance 9 RAW landscape photographs in Lightroom. Much better than a webinar, this course includes 9 of my RAW landscape photos that you will be able to download yourself to work on and practice as you watch the pre-recorded videos at your own pace. You can read the entire course description here. The course is priced at just $34.95 and includes the 9 RAW files and 5 Lightroom presets I created for this course. That amounts to just $10 per hour of expert training, an incredible bargain! There is even a FREE Trial you can sign up for to take the course for a test drive. You will feel like I am there with you as I go into detail explaining the corrections and adjustments I make to the photos. You will benefit from working on the exact same files as I am, accelerating your learning pace. Five Lightroom presets that I created are also downloadable and I show you how to install and use them.